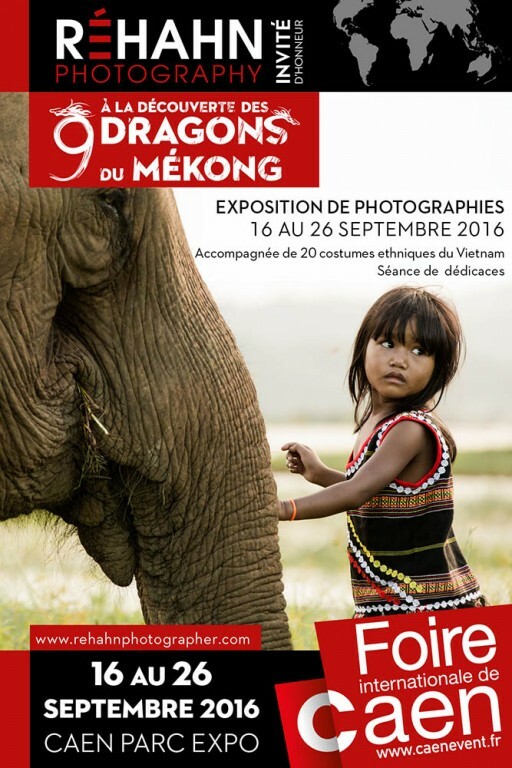 Réhahn has been working for 6 years on the Precious Heritage Project and will display 20 costumes and photos of the Vietnamese Ethnic Groups. Réhahn was recently invited to be an honoured guest at the Foire Internationale de Caen 2016 in Normandy, France. The event, which usually attracts 200,000 visitors over the course of ten days, from the 16th– 26th of September, featured a selection of his portraits from his time travelling around Vietnam. As well as thirty of his stunning pictures, from his Precious Heritage Collection, which aims to collect images of the fifty-four ethnic groups in Vietnam, the exhibit featured twenty authentic costumes from the ethnic groups Rehahn has met and photographed. The French photographer also made several appearances over the course of ten days to sign books for fans who came out to see the exhibition.